There are 86,400 seconds in a day. Take back your life in just 10 Seconds a day. 10 Seconds Daily‘s overall goal is to help you build additional good habits in areas of you life that you would be willing to commit to 10 second adjustments each day. This is a do-it-yourself simple way for you to get more from each day. Truth is that nothing happens without action. We just help you by outlining actions you can take each day. Simple disciplines practiced over time will lead you closer to your ultimate goal. Do you feel like you’re running down the wrong path, or worse, running in place? You don’t have to get lost or stay stuck. 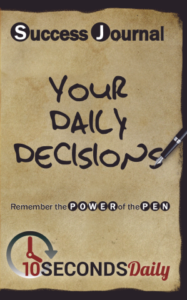 We make thousands of choices every day that impact our lives, making it impossible to remember each small decision that determines where we find ourselves tomorrow, next week, next year. But if you focus your attitude and your effort there is a way to be intentional about where you’re going. Taking notes is a powerful tool we can use to look back and review where we went wrong and where we went right. 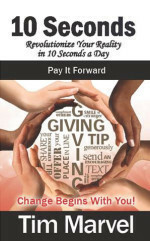 This thoughtful book will get you started creating positive results with the amazing power of giving. 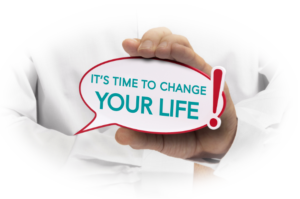 Want your World to Change? Be the Catalyst. When you think about paying it forward, what comes to mind? Giving money, time, or pieces of yourself you can’t afford? Instead of locking into that definition, consider the idea that paying it forward is less about a momentary handout of time or money and more about validating someone’s worth. In light of the ripple effect, imagine what might happen if you became an encourager when you needed encouragement, a calm influence when you were the most stressed, a giver when you had the deepest need. What one thing a month, a week, a day could you do to add value to another person? It’s never a mistake to invest in someone else. This includes the three exercise workbooks: Plant The Seed, Work Your Field, Share Your Harvest. Are you tired of feeling defeated before you even start your day? Between the headlines, social media, and the people around us, we have the potential to be filled with negative input from the moment we wake up to the moment we go to bed. Even while we sleep, we continue to process what we’ve absorbed. We become what we believe. If we live in constant negativity, it’s no wonder we struggle to be positive. We may not be able to fix all our problems, but we can change the way we respond. Our attitude influences our perception. Our perception becomes our reality. What would happen if we took ten seconds to plant a positive seed in our attitude each morning? Over time, those tiny seeds can shift our perception and help us cultivate a new reality. Self-reflection is the front line for change. Take back your life in 10 Seconds a day. An Exercise in Attitude – The Series. Self-reflection is the first step. There is no change without action. Is who you are today the person you want to be tomorrow? If we search deep enough, we discover being content isn’t about what we have, what we think we want, or what we give up to get ahead. Being content rests on the way we view the world and our place in it. Being content is all about attitude. The key to creating outward change comes in understanding who we are inside and figuring out where we might need to make some alterations. 10 Seconds: Plant the Seed is designed to help you with attitude introspection in areas of self-esteem, relationships, career, and your future goals and dreams. Take thirty days and discover… Self-reflection is the front line for change. Can you make it a daily discipline? Feeling out of control? Some people define success through academic expertise, athletic aptitude, their position on the corporate ladder, the amount of respect people toss their way, or by how many toys they’re trying to take with them. But none of those things actually builds true success. True success grows out of a positive attitude. Having a positive attitude is a choice we get to make every day and one of the few things in life we can actually control. 10 Seconds: Work Your Field picks up where Plant the Seed left off. This thirty day segment encourages you to take “The 10 Second Challenge” and change your attitude one small step at a time. Because… Attitude is everything. Are my actions now a habit? How you treat others matters. When we feel defeated and frustrated, when we detour off our personal road to success, when our past mistakes pile up and paralyze us, a strange thing happens. Fear starts to consume our future, our attitude shrivels, and we get stuck. One of the most effective ways to renew your attitude is to be a catalyst for change in others. Take a step outside yourself and focus outward. When you take time and effort to inspire others, you can’t help but be transformed yourself. 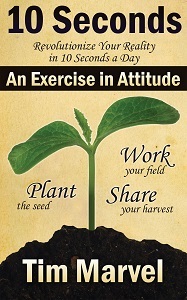 10 Seconds: Share Your Harvest brings you full circle in this exercise in attitude. Take thirty days. Change a life. Renew your own. Remember, positive actions produce positive results. This everyday workbook is the first of three in an upcoming series. How actions affect daily outcomes. Do I have the right habits? Feeling stuck in your career? Whether your obstacle is disorganization, lack of confidence, fear of failure, or being overwhelmed with the idea of change, you can move forward. The key to being successful in the future is to learn to be successful where you are right now. 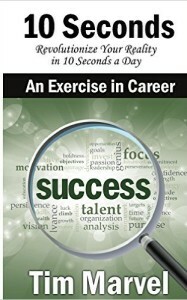 10 Second Success helps you refocus your attitude and begin to move toward reaching your short and long term goals. Stop standing still… All you need to get started is one first step.